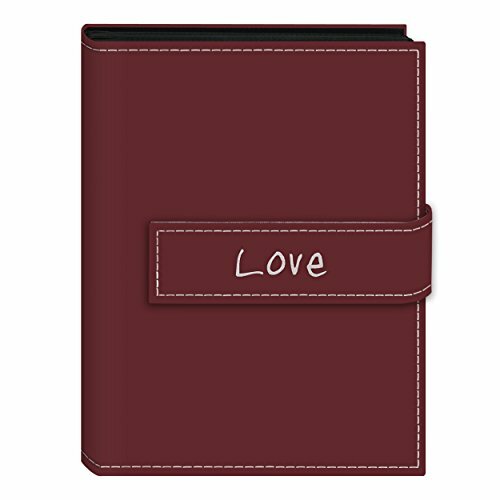 From Pioneer's Expressions series, this "Love" embroidered hook and loop material closure strap album features a burgundy sewn leatherette cover. The album holds 36 5"x7" photos in optically clear pockets with a black mesh background. The album is book style bound and photos are displayed one per page. The acid, lignin and PVC-free archival design keeps photographs safe over time. The album measures 8.25" x 6.125" x .75". Style No. EXP-57/BL. Album measures 8.25" x 6.125" x .75"
If you have any questions about this product by Pioneer Photo Albums, contact us by completing and submitting the form below. If you are looking for a specif part number, please include it with your message.